Earlier last week, we came across a story on LEGO customer service that will impress even the most fervently service-oriented hoteliers. 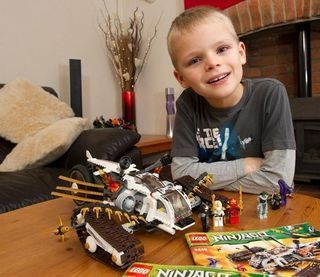 The short version of the story is that a customer service rep from LEGO, after receiving an e-mail from a young seven year old who had recently lost a piece in his newly-purchased set, displayed a generous amount of customer service savvy by promising to replace the missing minifigure with an even-better minifigure. As hoteliers, this kind of detailed, personal customer feedback will look familiar; the service rendered may be different, but the cycle is just the same. Guests check-in with requests, questions and service inquiries, and check-out feeling either satisfied that their needs were met or disgruntled by the hotel’s disregard. Service failures are inevitable, and when they do occur the hotel dutifully recovers with a response. This is the standard guest service procedure. What LEGO was able to accomplish went above and beyond the standard customer service call. In the end, the manner in which a customer is treated will either build or diminish advocacy for your brand and is a fact that’s inherently played out online in the public’s eye. Whether it’s in the form of a review, blog story, tweet or Facebook post, the ripple effects of exemplary customer service only augment your online reputation. May we all learn from LEGO this lesson.